Intercontinental Hotels Group has opened the first Crowne Plaza hotel in Serbia. The 416-room Crowne Plaza Belgrade originally opened as Intercontinental Belgrade in 1979. In 2008, it was bought by Delta Holding — that company then signed a management agreement with IHG to reopen the property as a Crowne Plaza. Crowne Plaza Belgrade, which has the largest ballroom in Serbia, is located in the city’s business district and is a five-minute drive from the city centre and a 15-minute drive from Nikola Tesla International Airport. It features two restaurants, a lobby bar, an exhibition hall, a full service business centre, 12 meeting rooms and a fitness and spa centre with the largest hotel swimming pool in Serbia. IHG spokesman Rolf Hubner said: “Providing quality business services combined with a great night’s sleep is the very fabric of the Crowne Plaza brand. 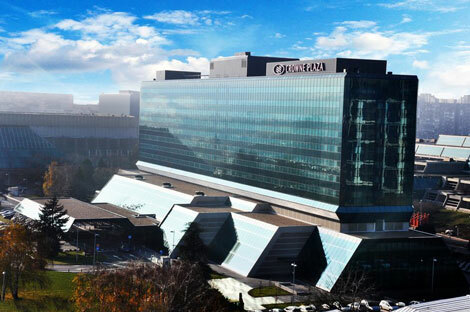 Last week, IHG announced that it is to open a Crowne Plaza in Barcelona (see news, January 21).